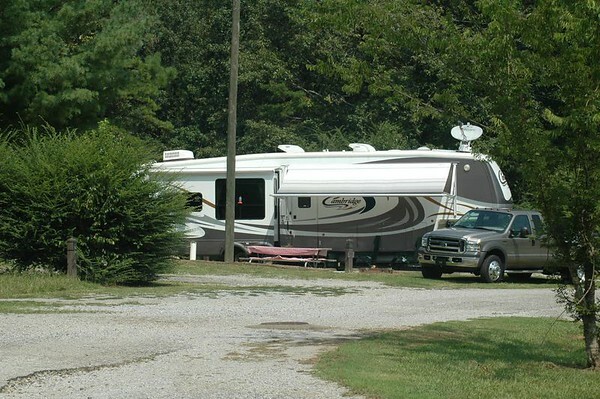 Here you will find reviews of campgrounds in which we have stayed in the state of Alabama. 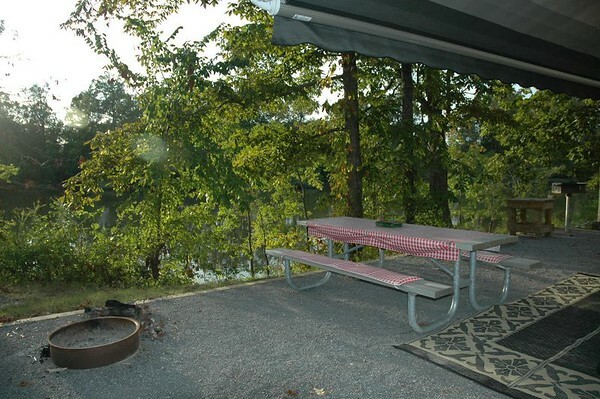 For details on how we choose a campground and our review criteria, go to our Main Campground Reviews page. The reviews you find here will be from most recent to oldest since the older the review, the less relevant it may be. The "Overall Rating" is on a scale of 1 - 10 with 10 being the best. Reason Selected: We like being at Escapees parks during the holidays and this one was on our route as we traveled toward Florida for the winter. 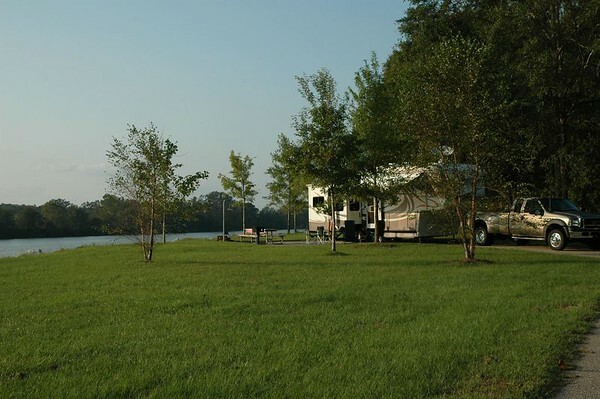 We had heard a lot of great things about this park and had some friends staying there at the time. 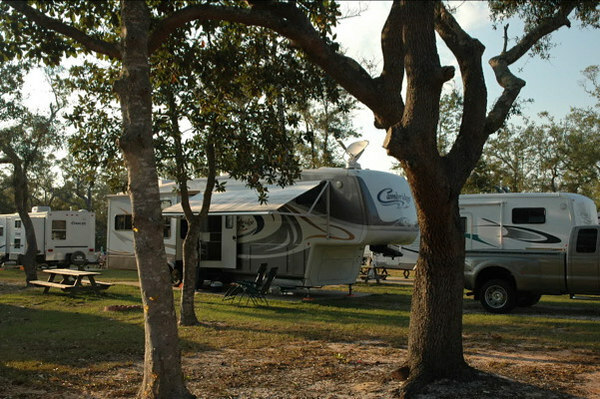 Setting: Rows of very large, grass sites with Live Oak trees providing some shade. Very rural setting that sort of looks like an old farm. Paved roads through the RV park. The south side sits close to County Road 28 while there is a good buffer on all other sides. Big Rig Friendly: Could handle any size rig - no problem. Laundry: Very nice laundry facility. Four washers and six dryers. Price & Discounts: $14.50 plus metered electric. Weekly rate of $85 plus metered electric. $5 per night for dry camping. 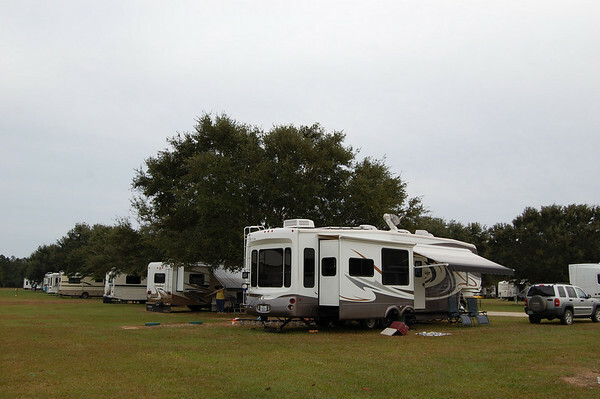 These are all Escapees RV Club member rates. Other Factors: Very large sites. Good place to be for Thanksgiving. A few activities, and a social hour every day. Sounds like there are more activities during the winter months. Website is not particularly helpful. Ten miles in opposite directions to two Super Walmarts (Foley & Fairhope). 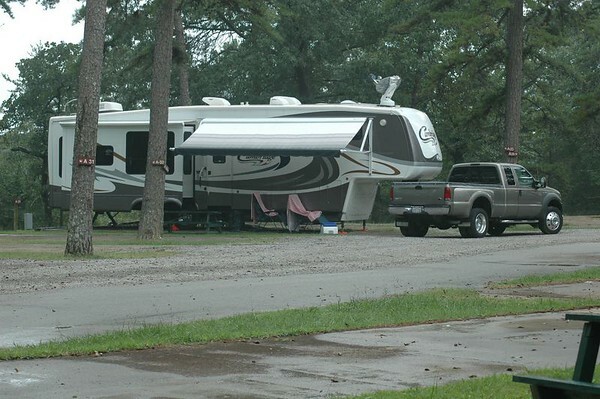 About 8 miles to a large Camping World (Roberstdale). Very rural location. Reason Selected: We knew we were going to be in Gulf Shores for the middle two weeks of October for the Hummer/Bird Study Group migrating bird banding at Fort Morgan at the end of Fort Morgan Road (about 20 miles from Hwy 59). Since we planned to make that 20 mile trip twice a day for two weeks, we wanted to get as close to Fort Morgan as possible. We also determined that we would stay a month to get the best rates. 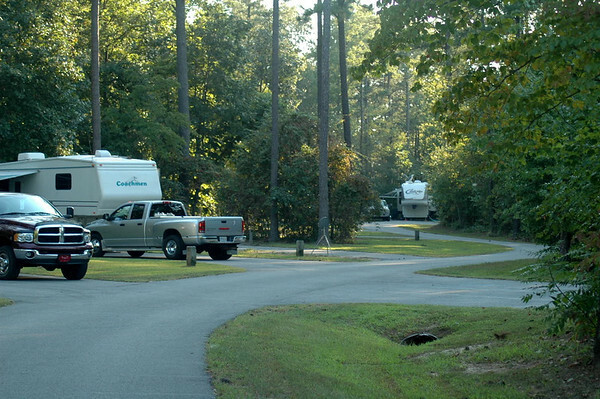 There are four campgrounds on Fort Morgan Road (two of which were quite a bit closer to Fort Morgan than Island Retreat) and a couple of other ones nearby. This time we could not choose, so we drove to Gulf Shores and decided we would make our decision upon arrival. We stopped at our first choice, but it turned out to be right under Hwy 59. We moved to the two other campgrounds close to Fort Morgan, but they were both too small and did not appear to be a good deal for the money. We ended up at Island Retreat by default.